Over the next two weeks, Momen Faiz, a 27 year-old Palestinian photojournalist working in Gaza, will be taking over our Instagram account. Momen: My name is Momen Faiz. I am a 27 year old Palestinian living in Gaza and I am married and have two daughters. 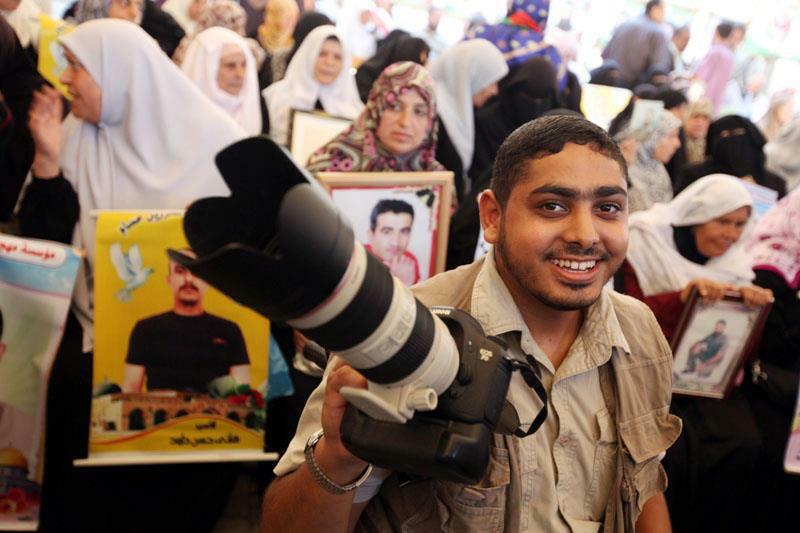 I studied two years at the University of Journalism and Media and I work as a photojournalist. I was injured in 2008 by an Israeli reconnaissance aircraft and my feet were amputated. CK: How did you discover photography and what drives your work ? Momen: I have loved photography since I was a child. I started photographing the celebrations at school when I was 16 years old and I have continued to develop what started as a hobby until the camera became part of my daily life. After my injury my wife encouraged me to return to photography and stood beside me until I recuperated all my strength to do the work that I love. CK: What is a typical week like for you? How often are you on the ground taking pictures? Momen: Excelling at my work and taking lots of wonderful pictures that show the beauty of Palestine is the best week I can have. I am on the ground taking pictures daily at every occasion. Momen: I enjoy Maftool and also fish based dishes. My family and I have a varied diet; including fish, rice, chicken and other types of dishes and soups.